Berghaus’s Thindown insulation promises hot performance benefits, but does it make the Aonach hot property for hillwalkers? Staying warm in winter is easy in principle. You just add loads of extra layers of clothing that trap extra pockets of warm air against the body, right? Wrong! If you just add more layers you end up with a bulk of clothing that limits easy movement and reduces breathability. Then there is the weight of all those layers and also their financial cost. Instead what is needed is just one layer that offers the right amount of insulation in the lightest form, with the most practical design and at the lowest price possible. Great in principle. 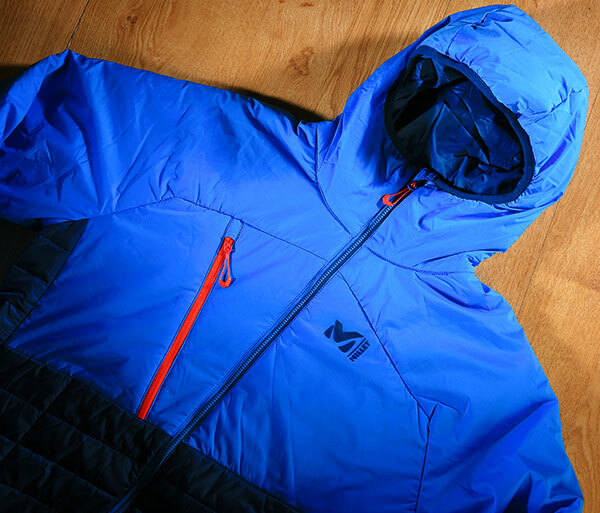 Enter Thindown, the new form of insulation from Berghaus that is used in the Aonach jacket. During manufacturing down is fused with polyester to create an interlocked stable sheet of Thindown insulation. This insulation is said to be 30% warmer than polyester insulation alone, as well as being more compressible and more durable, while also retaining its loft and warmth much longer than standard polyester. 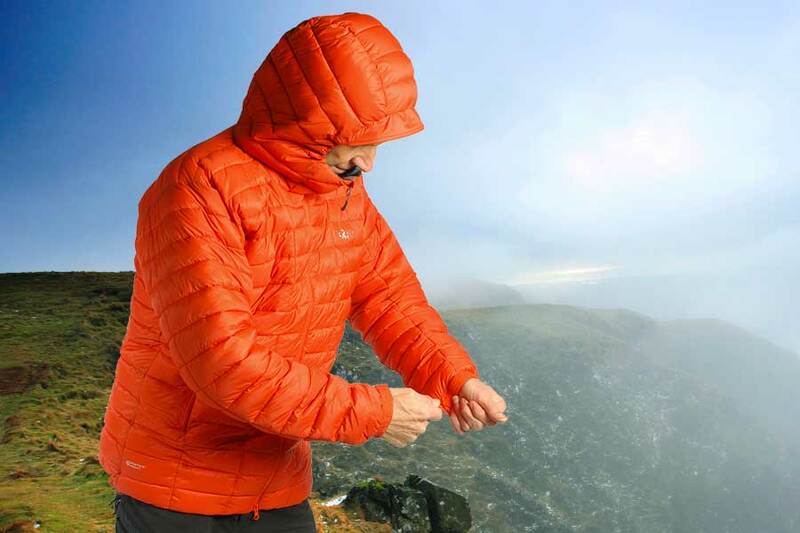 As Thindown is a stable sheet of material it is much easier to hold in place within a jacket, so there is less need for the complex array of stitched baffles used on conventional down jackets. Also there’s no need to use fabrics that are designed to prevent pieces of down escaping, such as tightly woven nylons, leaving the way clear for more open-weave materials that allow for far greater levels of airflow and breathability. 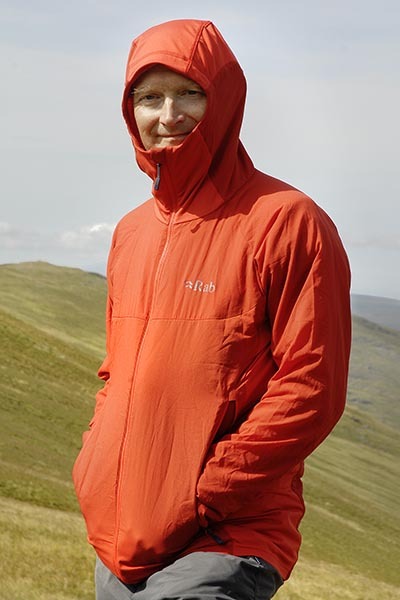 Berghaus claims the shell material on the Aonach is 50 times more breathable than a standard down jacket, and describes the Aonach as ‘the world’s first truly breathable down garment’. As the Aonach is so breathable, Berghaus also claims it can be worn under a waterproof hardshell jacket without any build-up of condensation. It’s also warmer than a fleece, while stretch fabrics have been used to enhance the fit and freedom of movement. If that wasn’t enough the Aonach also uses 50% recycled materials and over 90% of the materials are Bluesign approved for their environmental performance. I took the Aonach on the hill at the start of autumn, and wore it under a waterproof jacket to block out the wind while heading up steep slopes on the Lakeland fells. It was immediately apparent the condensation you’d normally expect when wearing a synthetic or down insulation jacket under a waterproof did not materialise. The tricky part of the equation though, is the Aonach is pretty warm. It feels like you are wearing a thick fleece, or even two thin fleeces, so I found the Aonach just too hot for a lot of hillwalks. If you use the Aonach as an extra layer to throw on when you stop walking then its breathability benefit is less useful, as you won’t get condensation when resting anyway. So this means the Aonach is going to be best for really cold weather when you are still moving, making it more of a go-to jacket for those really cold winter days when you want something extra to throw on while walking, such as a second fleece or thin synthetic jacket or gilet. The Aonach weighs 557g (size L), so is a similar weight to a good general fleece jacket. There are pure down jackets that are lighter though. For a jacket designed to keep you warm when being active, it is surprising there is no hem drawcord, no hood drawcords and no cuff Velcro tabs to lock out draughts, and I definitely needed a closer fit at the hem. Also, if this is designed to be worn while walking then it needs a layout of pockets that allow easier access while wearing rucksack belts, and other jackets are better in this area. Finally the thin stretchy polyester outer is not the most durable, so if wearing this for rougher movement over rock then care is needed to prevent it snagging. I noticed the cuff area is a little baggy and already starting to show signs of abrasion from the rocks I had scrambled over. The Aonach costs £200 but you could buy a good fleece jacket for £100, or a thin synthetic insulated jacket or warm down jacket for £150. A really light and warm down jacket, meanwhile, would set you back around £270. So you need to be keen on the Aonach’s warmth, weight and breathability ratio to warrant the price tag then. So is the Aonach right for your needs? 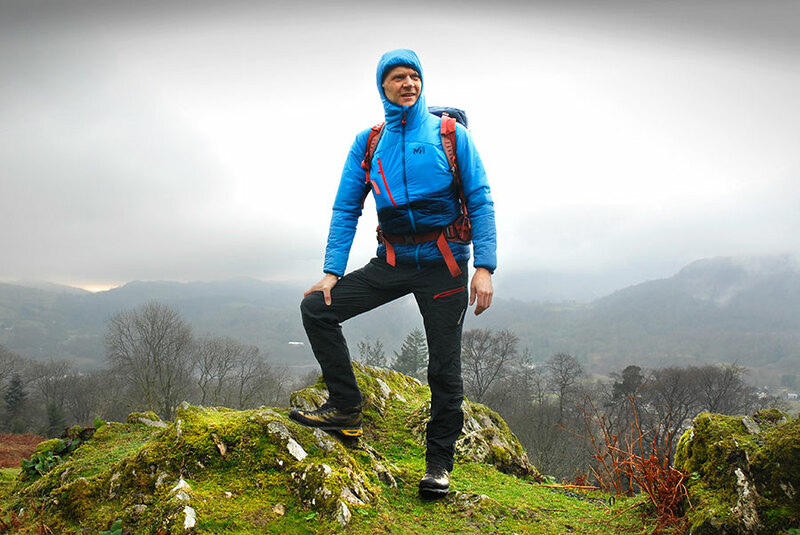 For me, its ideal for those really cold hillwalks when a waterproof jacket, fleece jacket and base layer just aren’t enough, which means Scotland in winter and occasional days in England and Wales when the temperature plummets. But I’d like some design tweaks to make it perfect for use while walking uphill, rather than for just sitting on the summit and enjoying the view. Berghaus’s Thindown is a great new material for backpackers, hillwalkers and mountaineers who need more breathable insulation when moving through freezing conditions, but for active use some design details could be better in the Aonach jacket. In cold weather, a soft panel of material at the top of the jacket zip to protect the chin is a really welcomed feature. Some jackets have a very wide panel of soft material, others a small strip of soft material and others have none. To stay warm you need to trap warm air inside the jacket. But this is difficult if air can escape through the hem or around the cuffs or even blow through the front zip. So look for a baffle behind the main zip, drawcords at the hem and elasticated or ideally adjustable cuffs to trap warm air inside the jacket. To stay warm in cold weather you also need to protect your head from heat loss. Surprisingly it is often the hood design that divides the best jackets from the runners up, so it pays to try before you buy. Look for a hood that can be adjusted to fit without obscuring your vision and ideally this should move with your head when you turn to look around. A wired or stiffened peak is a welcome bonus to allow easy vision in the wind or spindrift. IT'S GOOD As down jackets lower in price many become less warm, but this one manages to maintain a better level of insulation than most, so you could use it in a tent or bothy or for a quick brew stop on the hill. It’s a good weight at just 379g (size L) and packs down small so you can easily stash it in a rucksack. Unlike many budget jackets you get a hem drawcord and an internal flap behind the front zip to lock out the wind. There is even a small patch of soft material at the top of the zip to protect the chin, which is very welcome in cold weather. The two pockets are also zipped. HOWEVER There is no hood so you need a good hat to wear with this. Also while it is warmer than most lightweight and low-price jackets if you pay a little more and can tolerate more weight and packed size then you get a really warm jacket that would be even better for colder nights in a tent, or a bivvy or during a Scottish Munro summit brew. The shell is made of polyester so it’s not as durable as nylon. Also some higher-priced jackets feature down that maintains better performance if damp and some have even higher spec down for lower weight. So there are drawbacks but for many walkers this is probably all you need. VERDICT A relatively warm jacket for its price and weight. It does not have a hood, but it is still a good general-purpose jacket. IT'S GOOD A great combination of features here make this ideal for many hillgoers. 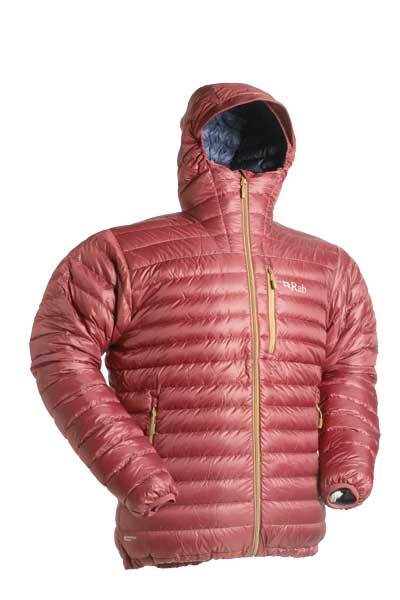 Firstly the price is great, but you also get a good amount of down insulation so this is a little warmer than many of the lighter jackets. The hood has synthetic insulation, rather than down, as well as a rear volume adjuster. Hem drawcords lock draughts out and there are two main zipped pockets plus a third chest pocket. Get it on and it feels warm enough for a brew on a summit or sitting in a tent. The hood fits closely and even moves with the head a little. This all makes this good for general hill use. HOWEVER There are drawbacks as this is a little heavier than others and slightly bigger when packed down than the smallest, but it does offer a good middle ground as it is not too big or too heavy to take on the hill. The cuffs don’t get any adjustment other than elastication and on me they did not fit very closely, so this area is chilly. The hood is not quite as warm as the heavier jackets, but it is okay for general conditions. For really extreme conditions, such as winter camping on the hill, I would want a little more warmth and some better details but for valley camping and summit brews this is great. VERDICT A good all-round general-purpose hillgoers insulated jacket. It is not the lightest, nor the warmest, but it does offer a good overall package of benefits. IT'S GOOD This offers much more warmth than lighter jackets making it far more suitable for staying cosy when camping in winter or lingering a little longer on a winter summit. It also benefits from hydrophobic down so it should maintain performance a little better if it gets slightly damp. The hood is removable and benefits from a wired peak and face drawcords and it is also very well insulated. You get two very deep zip pockets, a hem drawcord and elasticated cuffs. Get it on and there is a little more length to the body than some and the hood fits well. Overall this is very cosy and great for colder conditions particularly when camping, bivvying or sitting on summits. HOWEVER This is heavier than other jackets and has a large packed volume, so it will take up more space in your rucksack. The outer is made of polyester rather than more durable nylon used on other jackets, so it needs treating a little more carefully to maintain performance. 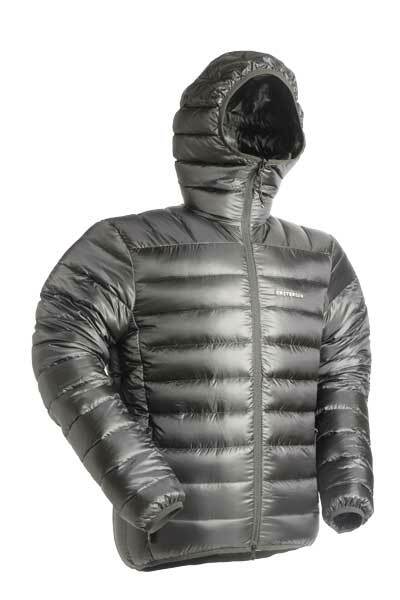 The down is just 650 fill power, rather than 750+ and that is in part why this is more bulky and heavier than others, but also why it has a lower price for so much more warmth. A slight niggle is there is no volume adjustment on the hood and also the hood does not turn with the head as well as higher priced designs. 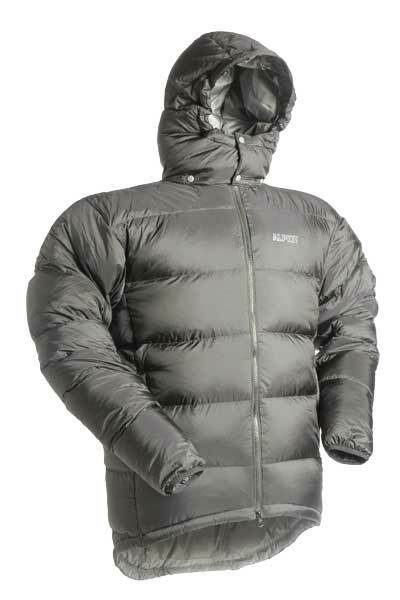 VERDICT A good price for a very warm jacket that is ideal for tent use, but it is heavier and more bulky than others. IT'S GOOD There is really only one big benefit to this jacket and that is how warm it is. It is warmer than others featured here and that makes it great for throwing on in a tent or during a summit brew or when visiting a bothy. It is also designed to be reversible so you can choose to have a different colour on display if that is important to you. Apart from that benefit, though, there are few other features to talk about. You get a front zip and a well-insulated collar. The hem and cuffs are both elasticated. It is also a good price for the level≈of insulation it provides. HOWEVER There are lots of reasons to think twice about investing your hard-earned cash in this jacket. It is relatively heavy and bulky and does not include a hood, so you need a good insulated hat to wear with it. Also, annoyingly, there is no hem drawcord to lock out draughts and you don’t even get a baffle behind the zip to block out the wind; there is no soft brushed area at the chin, either. The outer shell is made from polyester, which won’t be as durable as a nylon option. So there’s a lot to question here for sure, but that level of warmth it offers may just outweigh the drawbacks it presents. VERDICT A well-priced, very warm jacket that is great in a tent or bothy but it has no hood, it’s relatively heavy and bulky and lacks some finer details.. IT'S GOOD This is packed with goodies, starting with a price, weight and packed volume that are competitive and then adding down insulation that benefits from a little more water resistance than standard options. You get plenty of great details too such as a hem drawcord, three front zipped pockets and a hood that has a stiffened peak, along with face and rear volume drawcords. 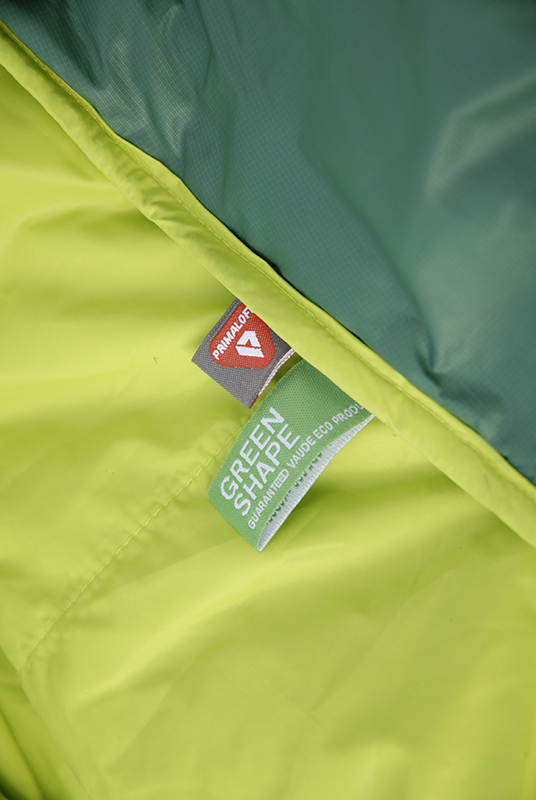 The shell is Pertex Quantum like other quality jackets. Get it on and the fit is close and the hood fits well, and while not quite the warmest it’s pretty good for short summit breaks or bothy use. The down is also certified as being responsibly produced and you even get a soft chinguard area. HOWEVER It is not quite the warmest, although it is warmer than the jackets that are lighter. But for camping in winter or snowholing I’d want something warmer. Like most jackets here you don’t get cuff adjustment apart from elastication, but you’d have to spend quite a lot more to get that feature. The fit is slightly too close for me compared to other jackets of the same size, particularly under the arms which I found caused the sleeve cuffs or hem to ride up a little too easily. So you may want to consider trying a size up from normal just in case it’s a little too snug. VERDICT Good level of insulation for summit and bothy use and a great hood and general set of features, but sizing is a little snug compared to others. IT'S GOOD A very light jacket that uses a high quality 850+ fill power down which you don’t generally find in other jackets at its price. That adds up to less weight and less bulk. A win-win. You also get a Pertex Quantum shell, which again is very light and something more often restricted to higher priced products. The hood gets a drawcord at the rear while the face is elasticated and there are two zipped pockets. To keep wind out you get an internal baffle behind that front zip, which is a feature not all lower-priced items have. So for throwing in a pack and wearing on the hill for short stops during a summit brew this is great. HOWEVER This is not the warmest jacket available, so for chillier weather or long spells of use, you may need something warmer. There is no womens’ option and you don’t get a hem drawcord or cuff adjustment. 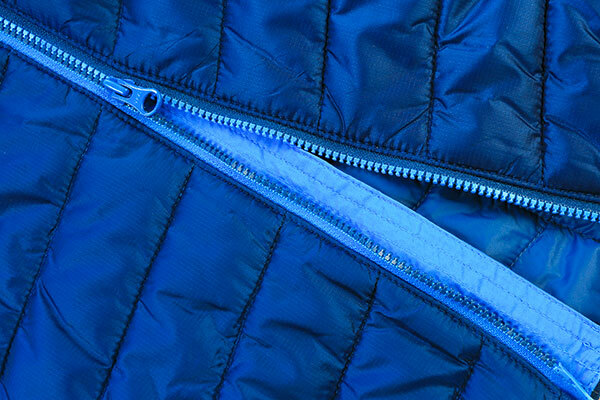 Some higher-priced jackets also have a face drawcord and a soft chinguard at the top of the zip to increase comfort. Finally some jackets may be heavier but benefit from a shell that is tougher and perhaps is more resistant to water. You can also get more water-resistant down. Of course, all those little details would add cost, weight and bulk so they are not necessarily essential at all. VERDICT Exceptional weight and performance for this price and ideal for stowing in a pack and throwing on for short breaks, but it’s not the warmest option. IT'S GOOD Weight and packed size are good here and you get a hydrophobic down, so it is less affected by moisture than standard down. If that was not enough you get Pertex Quantum shell material, with its low weight benefit. So on paper this looks great. 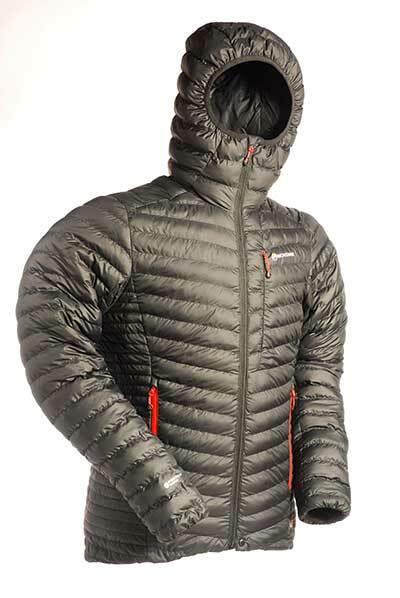 Get it on and it is not quite as warm as heavier or bulkier jackets, but you do get a hem drawcord and a hood with face drawcords and it’s fine for carrying in a pack and throwing on during a summit or bothy break. There is also a small patch of soft material at the top of the zip for more comfort at the chin, plus there is an additional chest pocket. HOWEVER The hood is a little disappointing as while it has face drawcords and a stiffened peak, which are big ticks in theory, it does not have a rear volume adjuster and I found it did not fit or move with the head as well as others. This jacket is not the warmest as mentioned, so for camping or bivvy nights I’d go for something warmer in winter, but its fine for milder situations, of course. You don’t get cuff adjustment other than elastication either. You can get lighter options and lower-priced jackets, but if you find the hood fits your head this is then a very good general jacket for hillgoers. VERDICT Weight, packed size and price are all competitive and you even get hydrophobic down but the hood and insulation level will not suit all. IT'S GOOD There is more warmth here compared to many lower-priced jackets and this is instantly noticeable. It also uses a Drilite Loft 20 denier outer, which has a little more water resistance and a little more durability than some lighter options. The down is audited for animal welfare via the brand’s Down Codex programme. Nice touches include the hood that has a rear cord volume adjustment and the hem also has a cord adjuster. There are two pockets with zips and the cuffs are elasticated. A good baffle behind the front zip blocks draughts. All that for 474g is great. The nearest women’s option is the Lightline which is slightly warmer as it has more down insulation. HOWEVER The price is not the lowest and also it is not the lightest or most compact option, so you need to decide if those benefits are really needed. There are not many drawbacks here, though. However you can get jackets with a higher fill power which would make it lighter and more compact for the same level of insulation, but that would increase the cost. Also you can get even more water resistance. A soft chinguard would be nice too as would adjustable cuffs – to get all these features you may have to pay more though. VERDICT A great general winter down jacket with a good level of insulation for camping or summit use at a reasonable price and weight. IT'S GOOD There is a good combination of features here that sets this apart from some others. So you get 800 fill power down and this is produced to limit animal welfare concerns. You get a hood with a rear drawcord that extends around the forehead and this did fit and move with my head exceptionally well. I also like that you get a large soft chinguard at the top of the zip for more comfort. There is a hem drawcord too. The cuffs are elasticated and the pockets zipped like others. So, overall, this is ideal for general winter use I would say, being small and light enough to stash in a pack but also reasonably warm. HOWEVER There are still drawbacks here as this is not quite as warm as some others, so for longer periods in colder conditions more warmth will be needed. It is okay for short cold snaps though. Also you still don’t get adjustment at the cuffs, which comes on higher-priced jackets. If you pay more you also can get more water resistance from either the shell material or the down itself. Annoyingly, the baffle behind the front zip is quite small, and while this is not a major issue it could allow a little more wind through here than a more substantial design. The main drawback is that this is not the warmest option which limits its use a little. VERDICT A good down jacket for carrying in a rucksack onto the hill, but its not the warmest and so not ideal for longer periods of use in colder weather. are needed, but the price may leave you cold. It is the warmth-to-weight ratio that sets this jacket apart from others, but niggly details make it a considered purchase. The Rab Neutrino Endurance is a very warm jacket for wearing around a campsite or bothy; but the weight and bulk limit its value when in a rucksack. lets it down for a jacket with this price tag. The Haglöfs Bivvy Down Hooded is a good all-round hill-goer’s jacket. It does not offer the lowest weight or the absolute best features, but it is a good overall package. The Criterion Activity is specialist kit for the keener mountain-goer. Exceptionally light and well-priced; not the warmest. The Jack Wolfskin Helium is a low-priced jacket with just about enough insulation for milder winter conditions. 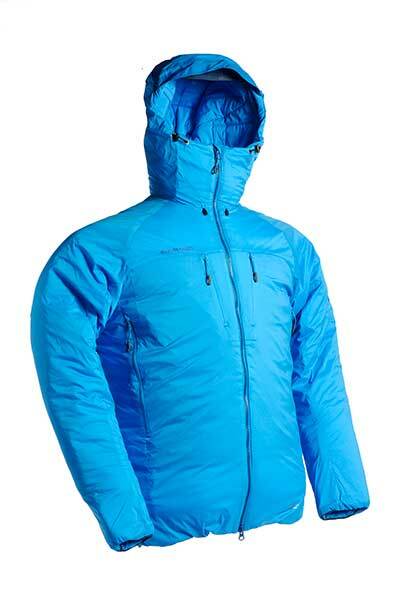 Unless you require the small benefits of other jackets the Quechua Top Warm is all you’ll need on the hill. This feels a little softer, less bulky and less restrictive than some more windproof soft shell jackets. Yet you still get very high windproofness and good breathability.